However, I have some new information that suggests black women may have had to get a health card to work in a white home. 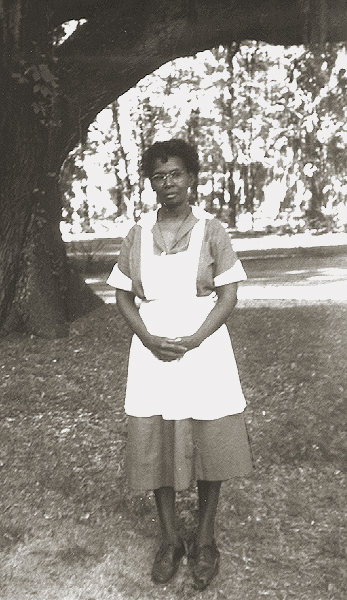 In the 1940s, Alice Childress, an African American Southern playwright, wrote a scene in the play, “Like One of the Family,” where the white employer demands that the protagonist Mildred, the maid, supply her with a “health card.” Mildred retorts by insisting her employer and her family also get health certificates to prove they did not have strange white diseases, since she was working closely with them–cooking, cleaning, bathing children, doing laundry–all would put her in close contact with them. Another reference to health cards is made in the book Battling the Plantation Mentality: Memphis and the Black Freedom Struggle by Lauri Bush Green. The author recounts a time in the 1940s after WWII when the local Venereal Disease Department of Memphis provided testing for returning servicemen. But local police singled out and arrested African American women and forced them to be evaluated for syphillis and get a health card to show white employers. You are currently reading The Health Card at JUST LIKE FAMILY.